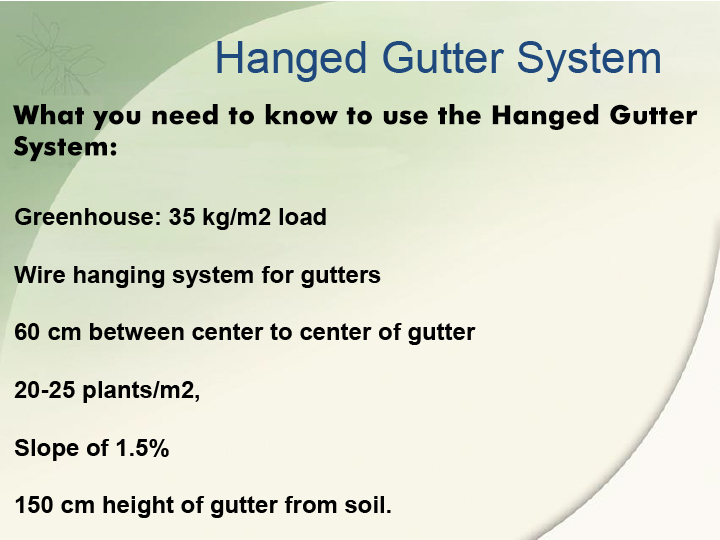 The hanging gutter system was adapted to local conditions and tried across the world. The containers (troughs) can be of different types. On the following page you see ones made of Polystyrene. The recommended substrate is coconut fiber or a mixture of peat and perlite. It’s not feasible to use Polystyrene containers when transport is involved, because of the volume. 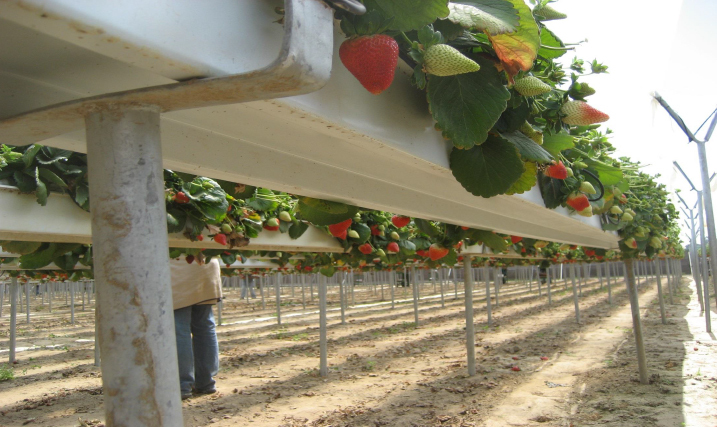 Rather one should use troughs made of Polypropylene sheets, coloured black on the inside (to avoid mold and algae developing) and white on the outside (for better light utilization, avoiding overheating in the hotter seasons). 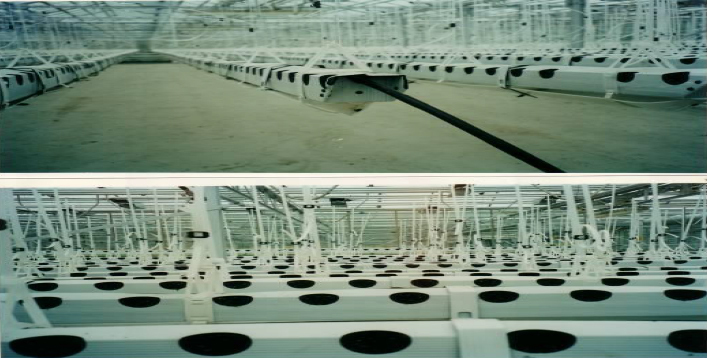 Several techniques were tried and the optimum solution was found to be the hanging gutter system, as with it one achieves the greater density of plant growth. 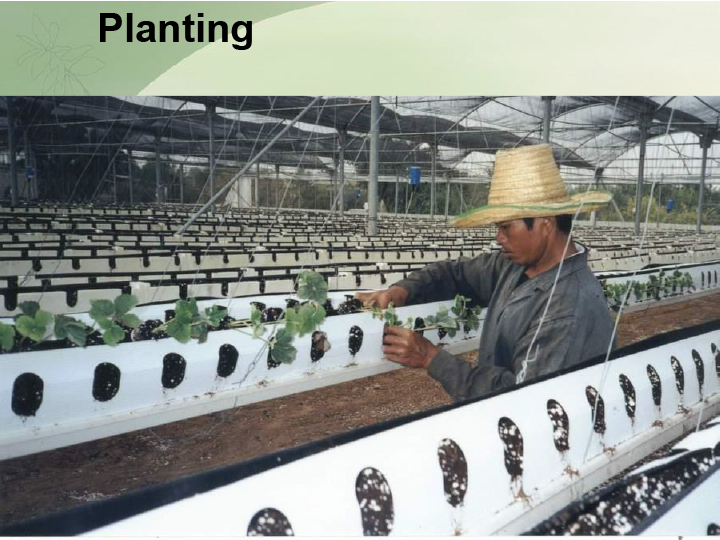 It also allows workers to easily treat the plants (transplanting, trimming, cleaning up etc. ), and harvesting is done differently (see later on). The height of the gutter should match the worker’s average seated height. 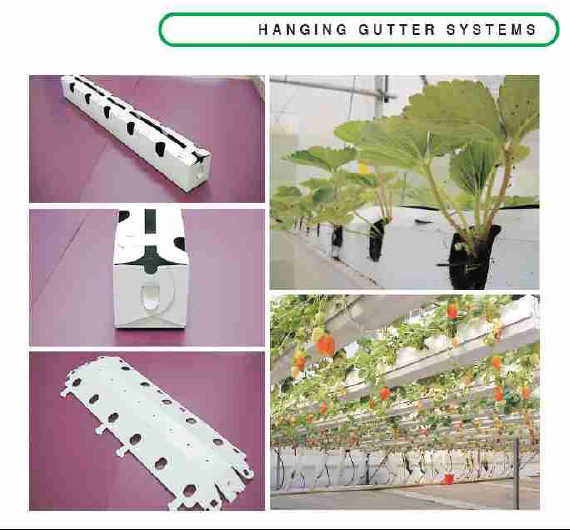 The hanging method depends on the type of greenhouse employed. Preferable is the use of steel wires or cables over plastic bands, as they tend to stretch over time and need to be adjusted. Here you can see the proper techniques used in Russia. Bumble bees are used for pollination (with plastic bands instead of steel wires used for hanging). The black pipes are part of the irrigation system, and the white pipes drainage of effluent. When working in artificial substrates there is always an excess of effluent to wash out the accumulation of salt and unused fertilizer. With proper treatment the effluent can be recycled, and used for open-air crops. 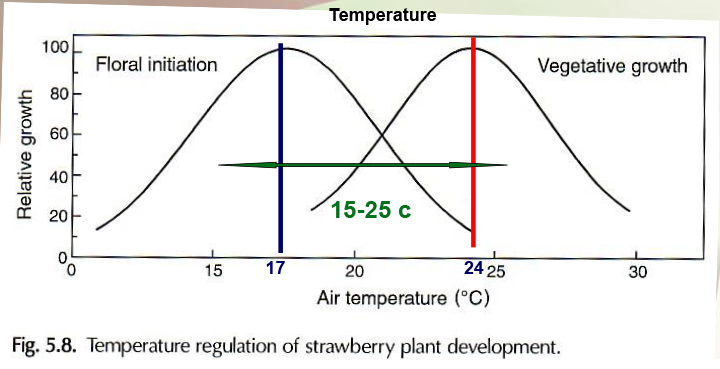 The optimum temperature for vegetative growth is around 24° C. For flowering plants a lower temperature is needed at around 17° C. This factor has to be taken into account when planning the location of the crop, the type of greenhouse employed and the means of climate control. The key point in the system is plant density. These figures are for traditional crops in the ground. The lower line shows the yield per plant decreasing while the density increases. A primary factor to consider is that plants compete for light. The upper line shows yield of the surface unit which is of primary importance. After a particular density is achieved the slope of the line drops and remains low indicating no further yield. Under the conditions of crops in the ground, the maximum yield is about 200gr per plant. Yield rarely reaches 5-6kg per m2. As in most biological processes, there is an optimum range/a saturation point. Photosynthesis increases as light intensity increases. Greater light intensity beyond that point is less effective. The light intensity you normally work with is 10,000 lux. If necessary, you might have to add artificial lighting. This is what happens with low light intensity (see below): loss of colour, malformation, poor taste (no sugar). Below, you can see low plant density (11-15 plants/m2) and Botrytis infection. The yield here is 4-5kg/m2. In the graph below, you can see the results of yield shown per month and only for greenhouse crops. The yield of hanged crops is ALWAYS higher than crops in the ground. A big difference appears when you plot accumulated yield. Yield is almost double in hanged crops as compared to ground crops. 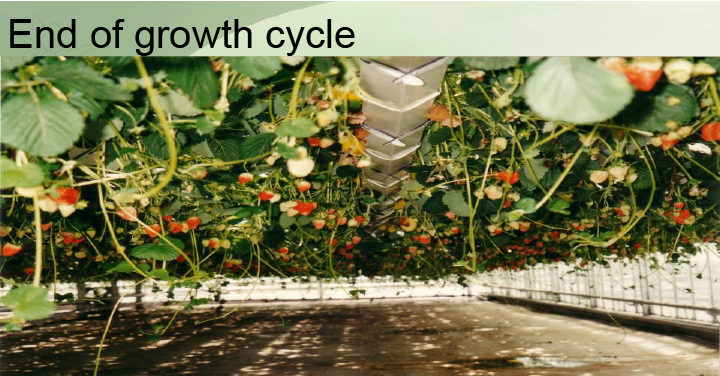 The expected average effective yield in hanged strawberry crops is around 10 Kg/m2. Record yields at selected growers reaches 13-14 Kg/m2. 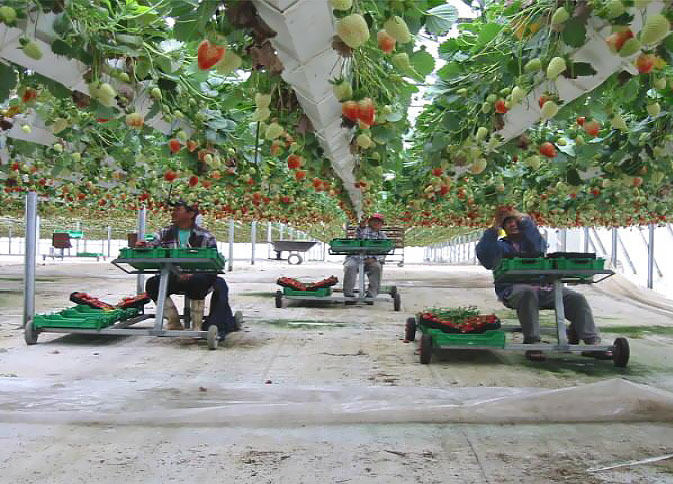 For a years market supply, a combination of greenhouse and outdoor ground crops would be best. In the second year the project can supply it’s own plants. Young plants are taken from the runners. Only around 25-30% of the plants are replaced every year. After 3-4 years, all plants have to be replaced by new plants from tissue culture (tissue culture is the growing of plants under sterile conditions from cell samples). Below you can see a polypropylene container is ready with cavities for planting. This container (or trough) is placed in a PVC gutter for the drainage of effluent. An alternate way to make use of the gutter system is with supports in the ground, supporting rather than hanging (see below). The plants still have some fruits but also develope runners which are used as plants for the next year. 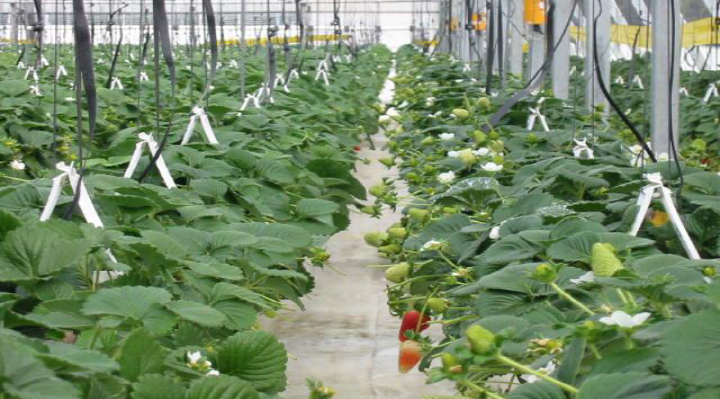 The Nursery is established in the same place – no need for a third step in plant supply. Every year about 25-30% of the plant yield is produced from newly cultured plants. 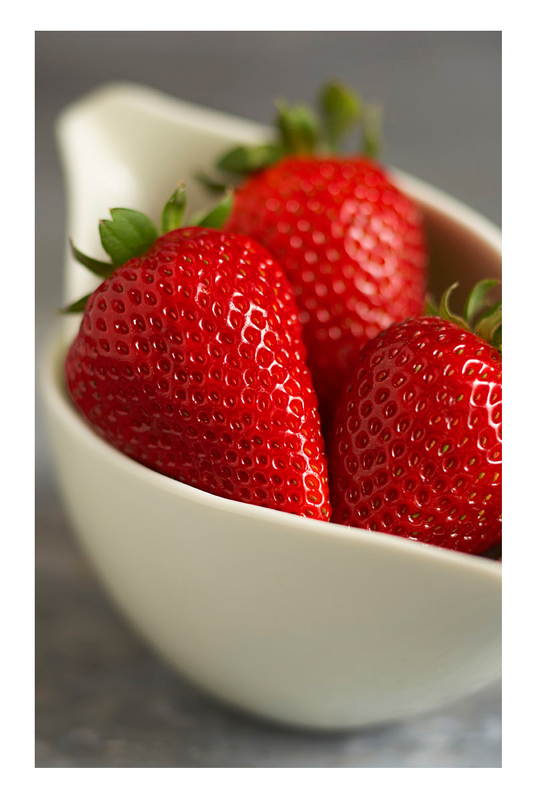 Here at Smart Farming Technologies, we can help you get started with strawberry farming. There are different methods you can do farming. 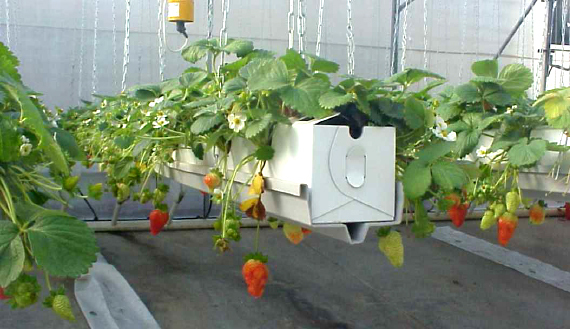 For example you could do hydroponic strawberry farming, aquaponic strawberry farming or container farming.